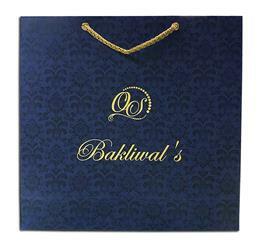 Universalweddingcards.com offers wide range of beautiful carry bags design, handmade carry bags, gift carry bags, matching theme carry bags, wedding boxes carry bags etc because whenever you carry an item to your guests you carry along an impression that reflects personality, attitude, and expresses style. 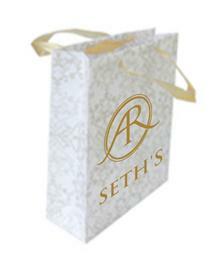 If you are going to invite a guest by entrusting a beautiful invitation card in their hands or want to give them sweet memories in the form of gorgeously decorated sweet and cake box then do not forget to make a style statement with your carry bag too. 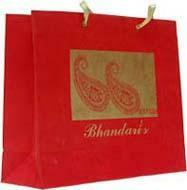 Our online designs comprises of exceptionally exclusive and unique carry bags that are available in varied sizes like mini, small, standard, medium, half sheet vertical, half sheet horizontal, horizontal large, vertical large size etc. 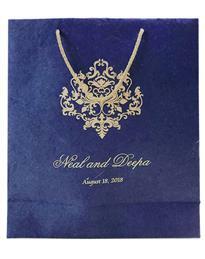 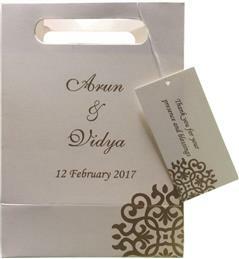 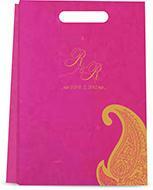 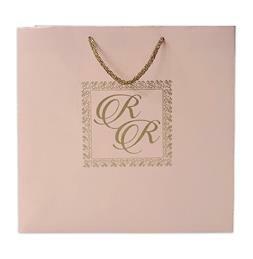 Names of prospective bride and groom printed on these bags makes these appear unique and personalized and they can have their wedding symbol, motif or logo to make more attractive and wedding theme base accessories. 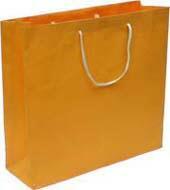 You my ordering few samples of carry bags from our online designs in order to make sure that whether they are capable of serving your purpose or not and not make sure for the sizes you need. 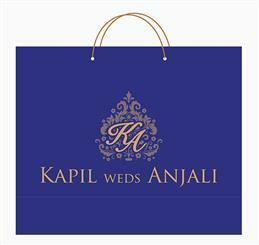 Browse our online designs exclusively made that are not only adorned with exquisite trimmings but are also eco friendly and cost effective. 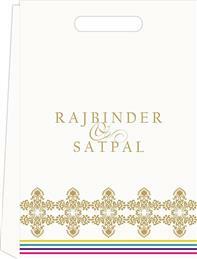 You can also select from online designs those are for an idea but we make sure that when you receive the ordered carry bag then it does match to your theme of wedding invitations, wedding theme, imagination in terms of paper material texture, paper quality and its design. 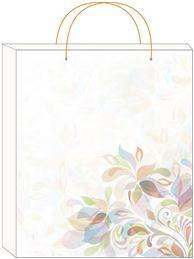 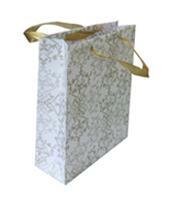 Add more glamour to wedding invitation and sweet and cake boxes by putting them in beautiful carry bag. 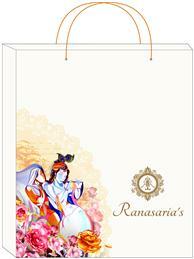 Invest in exclusive, rich feel, colourful striking carry bags made from handmade paper and eco-friendly paper and material provided by our designs and team.